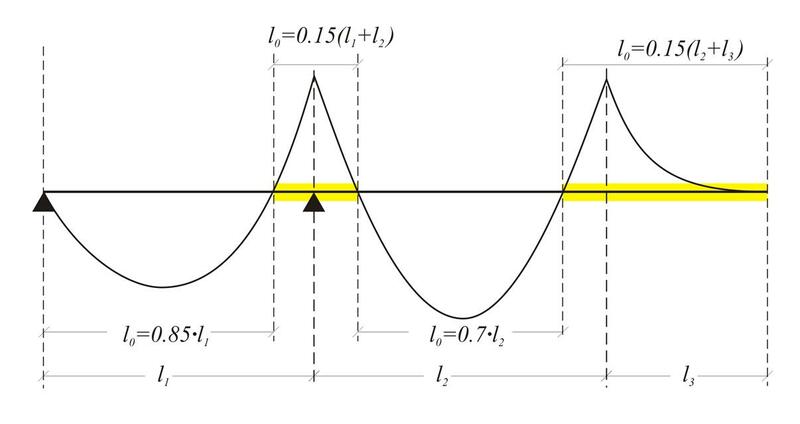 Τhe effective flange width beff depends on the distance lo between consecutive zero moment points and on half the spans b1, b2 at both sides of slabs. Earthquake resistant structures require strong columns and fixed column-beam connections. This requirement demands the creation of a frame set of beams, forming a continuous structure with respect to geometry, but autonomous with respect to the adjacent beams. This fact leads to the conclusion that, in general, the supports of a beam are rarely hinged. Therefore, lo=0.70·l can be chosen for all the earthquake resistant beams. 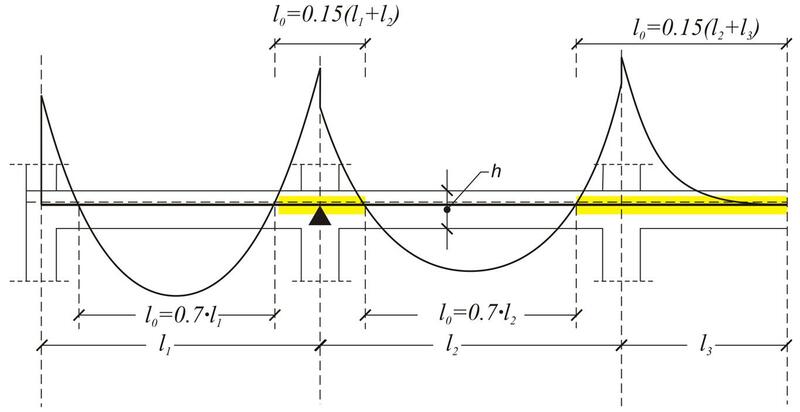 Τhe effective widths at supports have practical meaning mainly for the dimensioning of inverted concrete beams under bending. When an adjacent slab is cantilever, of a span ln, the corresponding b1ή b2 is equal to ln. 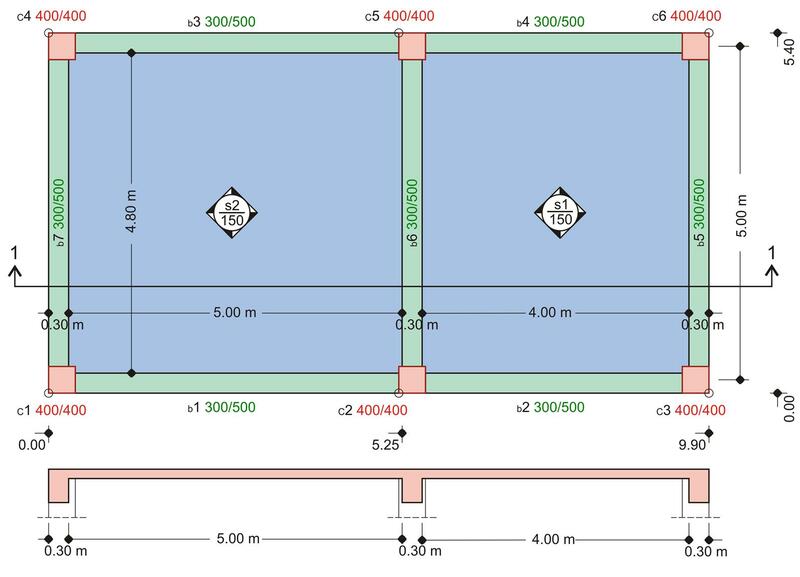 The end beam b5 has cross-section 300/5 and span l=5.00 m. The clear span on the left of slab s1 is ln1=4.00 m. The calculation of the effective flange width is requested. The flange is of type Γ. The middle beam b6 has the same dimensions as b5. 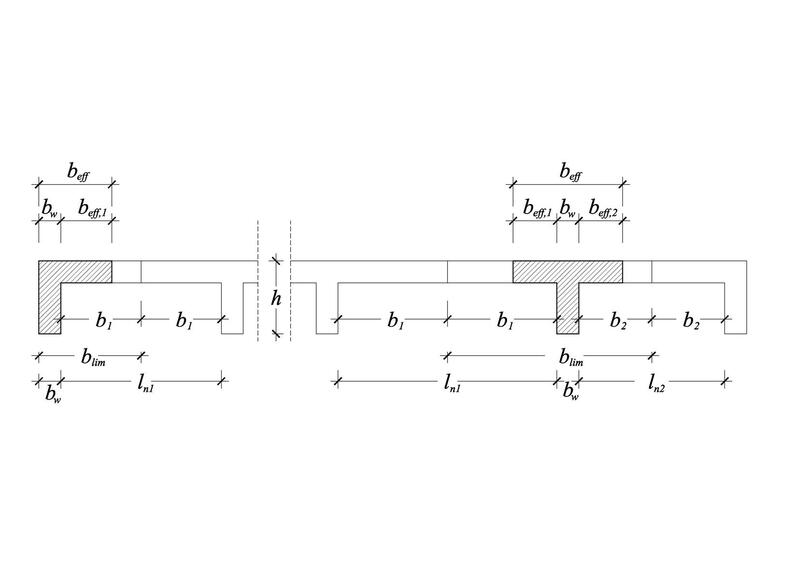 The span of the slab on the left of b6 is ln1=5.00 m. The span of the slab on the right of b6 is ln2=4.00 m. The calculation of the effective flange width is requested. This flange is of type T.